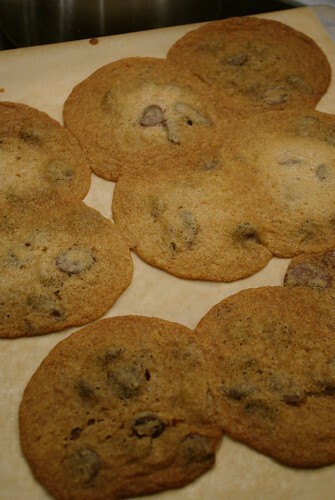 I had such a spectacular baking fail last night that I just had to share. Unless I was aiming for chewy chocolate pancakes, that is. 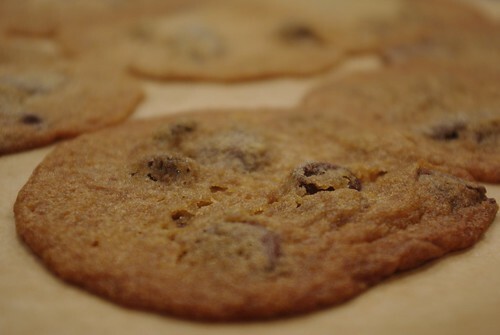 Granted they taste fine, but as Mr. Cleaver said "they're not cookies." If you picked #2, you're correct!! I tried putting the dough in the fridge, but that didn't help (something about the heating permanently changing the structure of the butter). So after two failed batches I decided that the remainder will find a new life as dough - maybe in some ice cream.